Russia is also known as the Russian Federation in official manner and this country is situated in northern Eurasia. 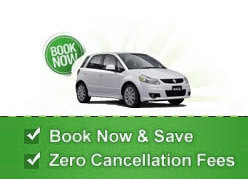 The best idea is to book the car rental services with us to choose from wide range of vehicles and brands. You can easily select from various pick up locations like the Tushino Airfield, Ostafyevo International Airport, Khodinka Airport, Domodedovo International Airport, the Vnukovo International Airport, Rostov-on-Don Airport, Vladivostok International Airport, Sheremetyevo International Airport, Yakutsk Airport and Yuzhno-Sakhalinsk Airport. This country is quite popular for its ethnicity. You need to know that the capital city of Russia is Moscow which is also the most populous federal subject. Here, you can see several attractions like St. Basil's Cathedral, the Armoury of this city and the Red Square along with the Tretyakov Gallery. You must also explore the Sochi city for Dendrary Botanical Garden, Riviera Park, and Dolphinarium Aquatheatre. Another wonderful city to see is Yekaterinburg to see Church of All Saints, QWERTY Monument and Yekaterinburg War Memorial. It is advisable to hire a car at Russia to enjoy your drive to the city of Kirov. Sightseeing in Russia can be made easy with a low priced car rental deal.